If you’re a Canadian in the market for a new car, you might be interested in securing a car loan to finance your new, exciting purchase. When it comes to purchasing a car, several different components are involved, including the possibility of utilizing a down payment. For many, the question of whether or not to use a down payment toward their loan is a big one. The answer is simple: not usually. While this may surprise you, it is not always necessary to utilize a down payment. It can be helpful if, for example, you have bad credit. However, even if you have good credit, there are pros to putting down money toward a loan, and many Canadians choose to go this route. With more information, you can decide if a down payment is the right choice for you to take in the loan process. It is not always necessary to put down money upfront toward a car loan, but there are perks to doing so. When considering whether or not to use a down payment, evaluate the possible pros: a better chance of approval for a loan, the possibility of lower monthly payments, saving money on interest charges, the ability to pay off your loan quicker and also being able to build equity. Here we look at all the benefits of using a down payment for your car loan. For some people, the biggest factor in deciding whether or not to use a down payment is the state of their credit. In many cases, people who have less-than-ideal credit choose to (or are asked to) put money down to increase their chances of approval for their loan. When someone with bad credit puts down money upfront, the loan size they are applying for decreases. Often, lenders will be more willing to approve a smaller loan with a down payment attached, than approve a large loan that poses more of a risk. In cases of bad credit, down payments are extremely beneficial. However, even if someone has stellar credit, down payments are still a useful and beneficial asset in securing a car loan. Along with having a better chance at securing your car loan, you’ll also save money on interest charges when using a down payment. By securing a smaller loan option, you’ll likely pay less in interest charges over the span of the time it takes you to pay your loan back. This is also especially helpful to those with bad credit. Typically, interest charges can be extremely high when you have less-than-ideal credit. By utilizing a down payment, those with bad credit can save money through better interest rates. Saving money on interest is always a plus. It allows you to put your money toward things that really matter, like emergency funds and retirement, important occasions and more. When you choose to make a down payment, you’ll likely have a much smaller loan amount. This allows you to pay off your loan quicker than if you had a larger loan for the entire amount of your car purchase. For many people, this is a huge selling point for utilizing a down payment. It means you’ll have fewer monthly payments and feel secure driving your car, which you will own in a shorter amount of time. Who doesn’t enjoy being debt free? After buying a car, the value of that car can diminish over time and often very quickly. Due to this, many suffer from being upside-down on their purchase. This means that you owe more on the car than what it is worth. This is known as accruing negative equity. However, when utilizing a down payment, you can help avoid this and build equity. This is a valuable, important component to be aware of when applying for a car loan. 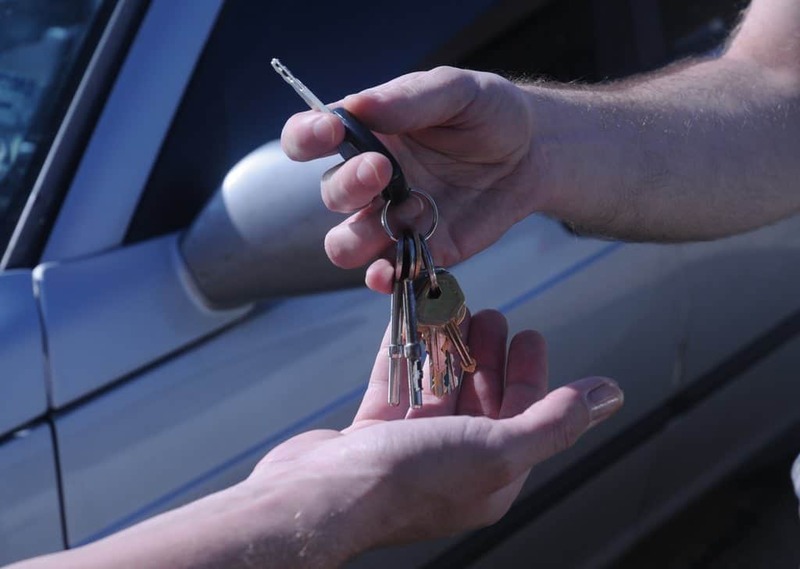 For many Canadians, using a down payment to secure a car loan is extremely beneficial. However, there are a few downsides to consider as well. Cons such as having to put more money down upfront and investing time toward saving for a down payment (when you need a loan quickly) need to be considered. Putting a large amount of money down, upfront, is a huge financial decision. For some people, utilizing a down payment is simply not financially feasible. In other cases, people simply do not want to put a large sum of money down, even if they have the ability to do so. For those who do not have the money to put toward a down payment, saving up can be considered a con. If you need a loan quickly, you may not want to spend months or even years saving up in order to get your new car today. Will You Use a Down Payment for Your Car Loan? Do you need a down payment to secure your loan? No. Now that you’re aware of the pros and cons of utilizing a down payment on a car, you can make an informed decision on how you want to proceed with the loan process. Whether you decide to use a down payment — or forego it — LendingArch is ready to match you to a car loan based on your needs and current financial situation.